Super Savings Item! 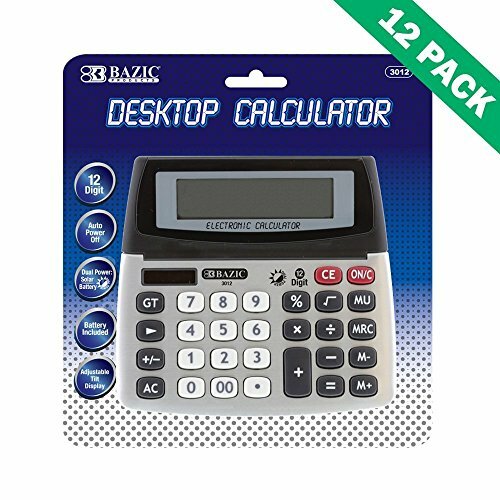 Save 38% on the Solar Calculator, Case Of 12 Dual Powered Office Calculators Desktop 12-digit by BAZIC-PRODUCTS at Ledina. MPN: 52-DF24-054E. Hurry! Limited time offer. Offer valid only while supplies last. Victor - 1297 Two-Color Commercial Printing Calculator Black/Red Print 4 Lines/Sec "Product Category: Office Machines/Calculators & Counters"